The New York State Department of Education’s Office of State Review (“SRO”), which hears appeals of special education proceedings after an Impartial Hearing Officer (“IHO”) decision, has been out of compliance with federal mandates to issue timely decisions within 30 days, since April of 2012. This delay has impeded the right of many children with disabilities to a free appropriate public education. Some cases in our office, for example, have been pending with the SRO for two years, and we believe that the SRO must come into compliance with federal mandates immediately or at the very least, within one year. On Wednesday, July 16, the United States Department of Education (“USDOE”) conducted a public hearing in Manhattan to hear comments from the public on a proposed Compliance Agreement to be entered into by the New York State Education Department (“NYSED”) and the USDOE. Specifically, NYSED has requested that the Department allow NYSED to enter into a Compliance Agreement to resolve its noncompliance within three years. NYSED has stated that it is not able to correct this noncompliance within one year due to the significant and unanticipated increase in the number of appeals of due process hearing decisions under the IDEA. In testimony on July 16th, NYSED also attributed the delay to the quality of Impartial Hearing Officers (“IHOs”) decisions. NYSED’s Commissioner John B. King formally requested, in an April 9, 2014 letter, that the USDOE consider allowing NYSED to enter into the Compliance Agreement. Specifically, in the letter, NYSED acknowledged that the SRO was not in compliance with IDEA mandates and identified several reasons why the State is unable to come into compliance within one year, such as the number of NYSED identified current and proposed actions to bring NYSED into compliance with the 30-day timeline requirement within three years, such as hiring more staff members. 2. Will NYSED, within a period of no more than three years, be able to come into compliance with this IDEA Part B requirement (30 days for a State-level independent decision), and, if so, what provisions should be included in the Compliance Agreement to ensure that compliance is achieved as quickly as possible? a directive to adopt, in accordance with New York Civil Practice Laws and Rules standards, a greater deference for review of decisions of IHOs, as the fact-finders. Create an advisory panel of New York stakeholders including LEA representatives, parents, attorneys, advocates, eligible students and other stakeholders, to have input and assist with monitoring. In short, the SRO delays are inexcusable and have impeded the rights of many children to a free appropriate public education. The USDOE must take immediate and appropriate steps to ensure that the SRO comes into compliance with IDEA mandates with all deliberate speed, and, if it considers a compliance agreement, it must ensure that it protects the rights of New York’s most vulnerable children. There is still time to give input. The USDOE is accepting comments. Written testimony or public comments may be submitted until July 26, 2014 by email to: OSEPnysedhearinginfo@ed.gov by mail (postmark by July 26, 2014) to Jocelyn Logan-Friend, United States Department of Education, Office of Special Education Programs, Potomac Plaza, Room 4132, 550 12th Street, S.W., Washington, D.C. 20202. The USDOE notes that commenters will not receive acknowledgement of receipt of written testimony and your testimony will be part of the public record that may be obtained through the Freedom of Information Act as appropriate. The Justice Department conducted a study that shows that although children with special needs who receive special education services comprise twelve percent (12%) of the nation’s students, they constitute nineteen percent (19%) of students disciplined with either a suspension or expulsion. These percentages indicate that school districts often fail to understand the rights of students with disabilities and proactively provide positive behavioral supports. 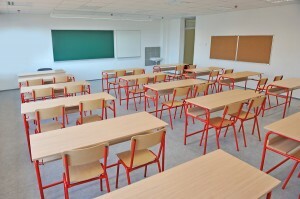 The Individuals with Disabilities Education Act (IDEA) and the Americans with Disabilities Act (ADA) protect the rights of students with disabilities in that they cannot legally be subjected to long suspensions or expulsions for behaviors that are manifestations of their disabilities. Under New York State law, which applies to all students, whether classified or not, a “short-term suspension” is defined as five days or less. The Principal of the school can issue a short-term suspension. The parents have a right to an informal conference. The parent must receive twenty-four hour notice of the suspension and tutoring must begin, technically, immediately; however, this rarely happens. Under the federal special education law (IDEA), a suspension in excess of ten school days constitutes a “change in placement,” and cannot be issued without going through the CSE. It is important to note that “ten days” can either mean ten consecutive days, or a series of short-term suspensions that add up to ten days if they are a part of a pattern of suspensions. If a school district is seeking to suspend a student with a disability for longer than 10 days, it must conduct a manifestation determination. The “Superintendent’s Hearing”, discussed above, must occur first. If the student is found “guilty” at the Superintendent’s Hearing, the manifestation determination must be scheduled. CSE members, including the parent, attend the manifestation determination and make the determination. The CSE team will review information such as the student’s IEP, teacher observations, information from the parent and, sometimes, testimony from the student. The objective of the manifestation determination is to determine whether the conduct for which the district seeks to discipline the student was caused by, or had a direct and substantial relationship with the student’s disability, and/or was the conduct a direct result of the district’s failure to implement the student’s IEP. If the conduct at issue is determined to be a manifestation of the student’s disability, the student must be returned to the placement from which he or she was removed unless the parent and the district agree upon a new placement. If the CSE team has not yet conducted a Functional Behavioral Assessment (FBA), one must be conducted and a Behavioral Intervention Plan (BIP) must be developed. If the child already has a BIP, the CSE must review and modify the BIP in consideration of the conduct that led to the suspension and with the goal of preventing similar behavior in the future. If the behavior was a direct result of the district’s failure to implement the IEP, it is the district’s responsibility to immediately remedy those deficiencies. See Part 201 of the Regulations of the Commissioner of Education. If the school district does not follow the steps described above with regard to suspending a student for more than ten days, it is in violation of law. Studies show that “reprimands, detentions and exclusion” are ineffective means of modifying student behavior and that forcing a student to be absent from school for long periods of time actually increases dropout rates, especially for students with special needs. See Discipline and the Special Ed Student, Maureen E. Hook, Ph.D. date February 14, 2014. This leads to an increased likelihood of unemployment and economic dependence for students with special needs. Rather than remediating the behaviors, suspending a student with special needs can have an unintended, detrimental effect on the student and ultimately society as a whole. Students with special needs often exhibit associated behavioral issues and challenges and may require concrete examples of prohibited behaviors and conduct. They may have difficulty understanding the school’s disciplinary code as written. A student’s specific disability may also play a role in the behaviors exhibits. See Discipline and the Special Ed Student, Maureen E. Hook, Ph.D. date February 14, 2014. For example, a child with Tourette’s syndrome may shout something inappropriate, or repeatedly engage in conduct that is disruptive to others such as tapping, or fidgeting. A student with ADHD may have an outburst due to his or her disability. A student with autism may engage in flapping, banging or other stimulatory behavior. Before the student is disciplined, the relationship of the student’s disability with the offending behavior should be considered. The movement from self-contained classrooms to the mainstream learning environment may influence certain conduct in students with special needs because there are many more factors that could stimulate, and/or cause anxiety or stress in a student with special needs. They face additional social, emotional, academic and environmental stressors and challenges. These challenges increase as students with special needs transition from elementary school to middle school and from middle school to high school. The predictability and flexibility of their daily schedules are no longer present. See Discipline and the Special Ed Student, Maureen E. Hook, Ph.D. date February 14, 2014. While there may be benefits to receiving instruction in the least restrictive environment as required by the IDEA, the mainstream setting may not be appropriate for all children with special needs. It is necessary for the IEP team to consider each student’s special needs. For example, a student diagnosed with a processing disorder may not be able to maintain his or her focus any may miss crucial information in an ELA class with 25 students. The same may be true for students with hearing impairment. A student with attention issues may have trouble attending to task for extended periods of time. The implementation of common core standards and an increased emphasis on test results may often render it difficult for teacher to be able to individualize programs for students with special needs in the mainstream setting. Funding cuts also make it difficult for school district to provide students with special needs appropriate individualized instruction. See Discipline and the Special Ed Student, Maureen E. Hook, Ph.D. date February 14, 2014. For these reasons, violations of the IDEA have been increasing. Littman Krooks LLP’s special education department works diligently with families of children with special needs to help them obtain a free appropriate public education for their children. To learn more about the Special Education Process at Littman Krooks, click here. A case of alleged discrimination by a Manhattan preschool against a boy diagnosed with autism reminds us that individuals with special needs are often treated unfairly and legal action is sometimes necessary to protect their rights. The parents say that the school withdrew their son’s acceptance the same day the school hosted a speaking engagement with Temple Grandin, a noted advocate for people with autism. The allegations represent a troubling reminder that adults and children with special needs still face discrimination every day. Although strong legal protections are codified in the law, action by parents and attorneys is often necessary to enforce legal rights. Parents and attorneys must continue to be vigilant enforcers. The Americans with Disabilities Act (ADA) prohibits discrimination against people with disabilities in employment and in public entities and places of “public accommodation,” which includes most privately-run schools and child-care centers. The ADA does not specific to schools, but in the education context, it requires schools to provide reasonable accommodations, necessary auxiliary services and reasonable modifications of policies and practices to prevent discrimination against students with disabilities. The Individuals with Disabilities Education Act (IDEA) requires that every public school district in the United States identify children with disabilities and provide children with disabilities a Free Appropriate Public Education (FAPE). All 50 states accept federal funding under the statute and are therefore required to provide appropriate special education and related services. The IDEA requires the development of an Individualized Education Program (IEP) for each student with a disability and that provides individually tailored services and is reasonably calculated to provide educational benefits. Section 504 of the Rehabilitation Act of 1973 prohibits discrimination against people with disabilities in programs and activities that receive federal funding or financial assistance. Section 504 provides that students with disabilities must receive an education that is comparable to that provided to students without disabilities. Even if students do not receive special education services under the IDEA, they may receive related services under Section 504. Parents, advocates and attorneys have worked tirelessly and persistently to ensure that individuals with disabilities are included in school and workplaces. People with disabilities worked hard to achieve these legal protections. Parents of children with special needs, with support from attorneys and other advocates, must continue to work to enforce those rights. To learn more about the special education process, click here.